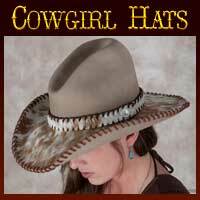 Here at Jaxonbilt Hat Company you can rest assured that you are purchasing the very highest quality custom made hat. 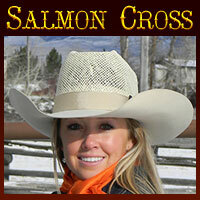 Each Cowgirl fur felt hat is built with its new owners name embossed in Gold on the inside of the sweatband. Every stage of your hats process is done by hand which we believe is the most important part of the whole custom process by drawing our attention to detail. Through trial and error while creating each individual masterpiece we have found that it pays to use the highest quality materials that we could locate which come from all around our globe. The felt we use is the genuine article and we will not sell you a quality inferior to that of which you have ordered. PLEASE bear in mind that it is not true that the higher the X factor of the felt the stiffer the felt! Stiffening agents are added to felt during the felting process. We can however add extra stiffener if that is what you are requiring. We cannot guarantee up to a 5 inch brim in all colours which is a part of the reason we do not accept orders without speaking to each customer direct. We use only genuine Swarovski Crystals to add sparkle and life to our hats, high quality Kangaroo 3mm lace is used for all leather braiding and only legitimate Petersham, Grosgrain and Silk ribbons are used where necessary. 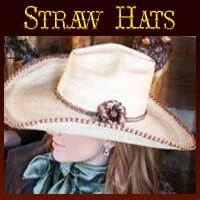 The paints we use on your hat will not run or fade out and all artwork is done by hand. We spend a lot of time researching to find the perfect Ribbon Slide, Clasp or Buckle set to compliment your choice of band. We cannot stress to our customers enough that our ability to create is only limited to your imagination! We believe your hat should be as individual as your personality and welcome new ideas and shapes.